This January eNewsletter has everything from news today of our partnership with Aspirant, to our first Superhero Sales Success winner, to coverage of the Media Ad Sales Summit, a new Build Your Own Report (BYOR) module, upcoming events and more. We are starting 2019 strong and won't let up on the proverbial pedal. Read on for more exciting news! 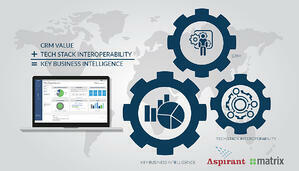 Matrix Solutions today announced a new alliance with Aspirant, a leading global management consulting and technology firm. This relationship provides global media enterprises with greater customization capabilities within Monarch’s full ad platform and reporting and analytic modules, as well as additional system integrations and other workflow enhancements. MIAMI BEACH, FLA. — Streaming is actually TV. That’s how younger generations define the digital video distribution and consumption model that is their reality. This revelation comes from Jill Rosengard Hill, an EVP at Magid. 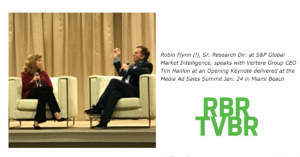 Hill delivered a Keynote address on the second day of the Media Ad Sales Summit, presented by Matrix Solutions, that puts an exclamation point on broadcast TV’s need to get on streamed devices should it wish to retain first-choice relevancy in the years to come. 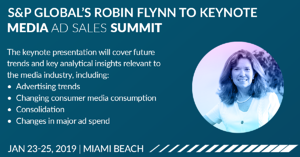 S&P Global Market Intelligence’s Robin Flynn to deliver keynote at the 2019 Media Ad Sales Summit. Ms. Flynn, a Senior Research Director for data, research and insights division within S&P Global will share future trends and key analytical insights relevant to the media industry. 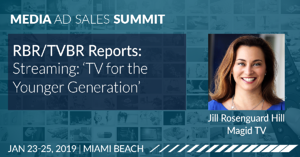 The Summit, happening January 23-25, 2019 at the Nobu Hotel in Miami Beach, FL will bring together media sellers and buyers from across the industry to discuss convergence, programmatic, automating the ad/buy process, and more. 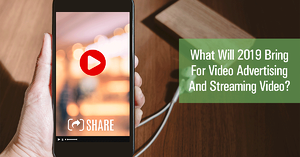 From MediaPost: What Will 2019 Bring for Video Advertising and Streaming Video? With 2018 in the rear view mirror, Video Insider decided to reach out to some of the smartest people in video advertising to try to figure out what this year will bring for the business. Digital and streaming video continues to accelerate at a rapid pace, both in terms of consumer adoption, advertiser adoption, and technological change. We Have a Winner - Matrix Solutions' Superhero Sales Success! Challenge: Keep my title of New Business Leader for the entire 2018 year!!! Solution: Put the Matrix App on my phone. "So that anywhere I go, anytime day or night, I passed a wrapped vehicle, a building, a billboard or meet a stranger out and about...I can go to my Matrix app, pull up accounts and right then and there enter the business name, contact info, notes about where and when I met them." Key Benefits: I get the ease of 24 hour access to Matrix. I know who and how and when and where I have run across a new account. The Matrix app has simplified my processes and lets my managers know who I am calling on and what my activities are for the day/week. Added bonus? Sending my activities to my Outlook calendar and getting daily schedules from Matrix to my e-mail. If you missed the first go around, that's ok! We are kicking off our second round of Superhero Sales Success from now through March 31, 2019, so be sure to share your sales success here. And remember, you can submit as many stories as you have successes - and we know you have a lot! 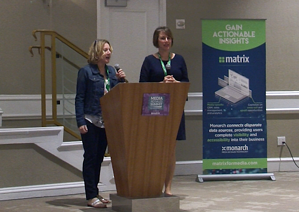 One entry could win you a $250 gift card and complimentary registration for the 4th Annual Media Ad Sales Summit 2020! 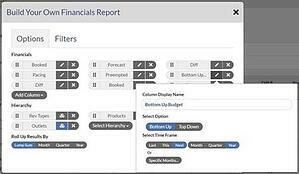 The new 'BYOR' or build your own report feature in Monarch allows you to quickly define your own report parameters by customizing time frame selections, rolling up any report by month, quarter or year, offsetting the fiscal calendar, and more. With BYOR you are able to distribute self-designed reports across the organization and address many custom reporting needs ad-hoc. If you are a manager using Monarch and would like more information on the limited release BYOR, please contact your success manager. The Key Executives Mega-Conference is a joint effort of newspaper media associations with an estimated combined membership of more than 5,000 publishers. In its ninth year, more than 700 media executives will be in attendance at the 2019 Key Executives Mega-Conference to explore new approaches and new solutions to the issues facing the newspaper industry. Be sure to stop by our booth #815 to say hello and see the latest Monarch innovation and/or schedule your time to meet with us now. Don’t Miss Our CEO, Mark Gorman speaking on the Solutions Stage at 2:30PM, Tuesday February 26, 2019 on Cleaning Up Your Ad Data Act: How to Reduce Data Inefficiencies and Drive Revenue Data is king – and media companies are a treasure trove of data, especially when it comes to the ad tech workflow. In this session and drawing from case studies of media companies that have incorporated Monarch into their internal tech stack as a centralized platform, learn how the platform assists in understanding data across all silos to drive better content monetization.